When Paddington starts to make a list of all the nice things he can think of about being a bear and living with the Browns he is sure to include 'the garden'. Paddington feels very lucky to have such a nice garden, especially as he has his own little patch in it, to keep him out of mischief! 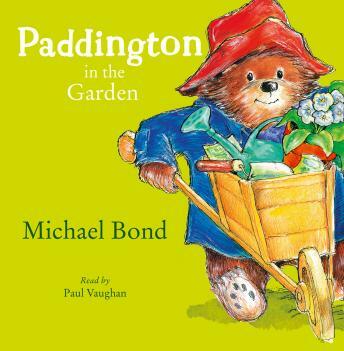 But when Paddington is around things are rarely simple and he soon finds that gardening is not as easy as he had first thought. He sets out, with a jar of marmalade of course, to look for ideas and ends up in a building site behind the Browns' garden. He is sure that if he climbs up a nearby ladder he will get an excellent view of his own little garden and that will help him with his design. Unfortunately, bears, building sites and marmalade don't really mix. But, as usual, Paddington is able to turn circumstances to his advantage and come out on top after all!